This place is near MIHAN, Wardha Road. Late night at Gurmeet is charmingly peaceful. The place is surrounded by trees and a huge open space. This is the best place for Nagpuri youth to hang out undisturbed for a long time. Punjabi Dhabas always promise great food. This is the best joint to have butter naan with a special saoji in the city! Shere Punjab is the favourite spot for college goers, with great Saoji and lots of booze. You might sooner get a high out of the Saoji than the alcohol here, though! Straight opposite Mahindra & Mahindra at Hingna Road, Girdhar’s food has a taste that is incomparable with the best of chefs. One of the best and cheapest dhabas in Nagpur, you and your friends can eat limitless food and the bill still won’t hurt your wallet. 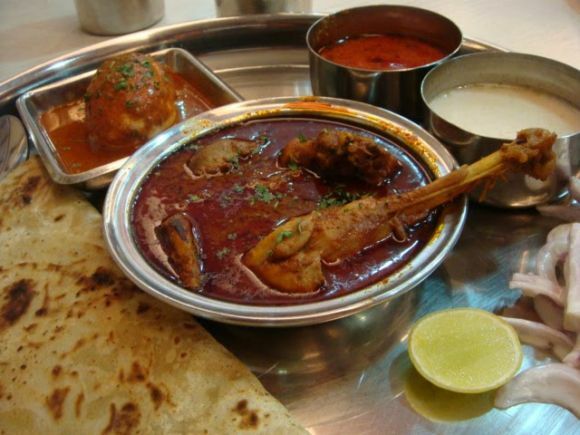 Nagpur loves its spicy food and Khalsa takes care of that very well. You can enjoy many mouth- and eye-watering dishes here, and if you visit after 12, the kind folks will also provide heaters at each table to keep you warm! Hungry at midnight? Or early morning? This place will always be ready to serve you 24x7 with fresh tasty food.